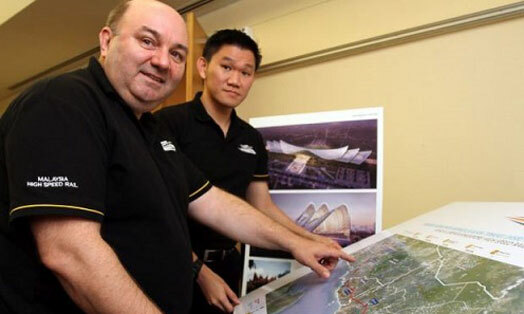 SEREMBAN: The Kuala Lumpur-Singapore high-speed express rail service from Bandar Malaysia to Jurong East in the republic will run every 30 minutes, said MyHSR Corp project delivery director Mark Loader. There will also be a domestic service that will see the train stop at all stations along the route in Malaysia, and this will also run every half-hour. Loader said the proposed frequency was based on projections made by the company, taking into account that currently there were some 60 flights a day between Kuala Lumpur and Singapore. “The non-stop express service will reach Singapore in 90 minutes and passengers boarding at Bandar Malaysia station will be able to clear Singapore Immigration before boarding. Loader said the project is due to start at the end of next year and is scheduled for completion in 2026. “Those taking the domestic service from other stations such as Seremban or Melaka will have to clear Singapore Immigration at Iskandar Puteri station and then take the train into Singapore,” he said at a media briefing here Friday. Eight stations will be built along the 350km line – in Bandar Malaysia, Bangi-Putrajaya, Seremban, Melaka, Muar, Batu Pahat, Iskandar Puteri and Jurong East in Singapore. The domestic service from Bandar Malaysia to Iskandar Puteri, which will see the train stop at every station between, will take 120 minutes. From Iskandar Puteri, passengers will be able to take a shuttle train service, which will take another 15 minutes, to Jurong East. "We are now conducting a public inspection exercise and getting the people's feedback on the proposed alignment as well as other related matters. "I am happy to say that we have received more than 9,000 comments and suggestions during this public inspection exercise which will be held till Jan 31 (2018),” he said, adding that the exercise began on Nov 1 this year.